For each section, you can select a corresponding Layout View. After you have selected a required view, do not forget to check the Enabled box to activate it. In this section, you can put one or more layout views above existing ones. This can be useful for showing messages or images tied to a visibility animation – instead of copying these messages or images into all views, you just add them to a layout view and use it as an overlay for all of the views. 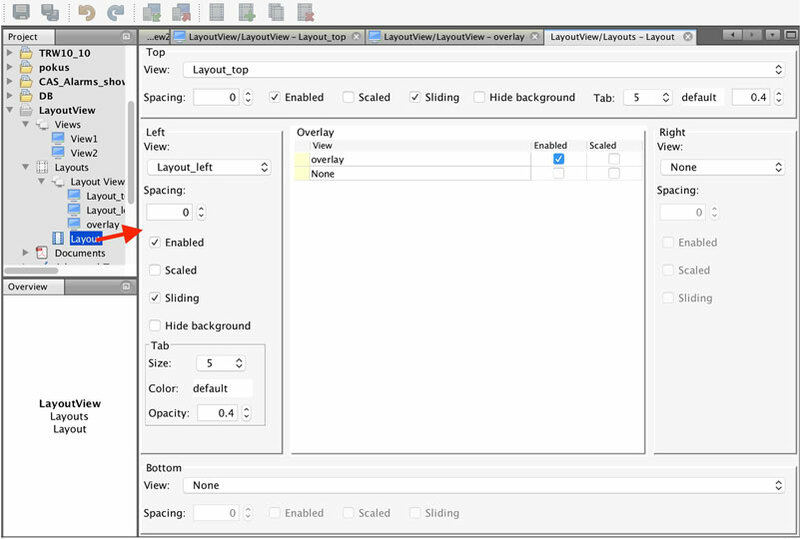 Select the view you want to apply a layout to and select Layout from the drop-down menu in the Properties window. 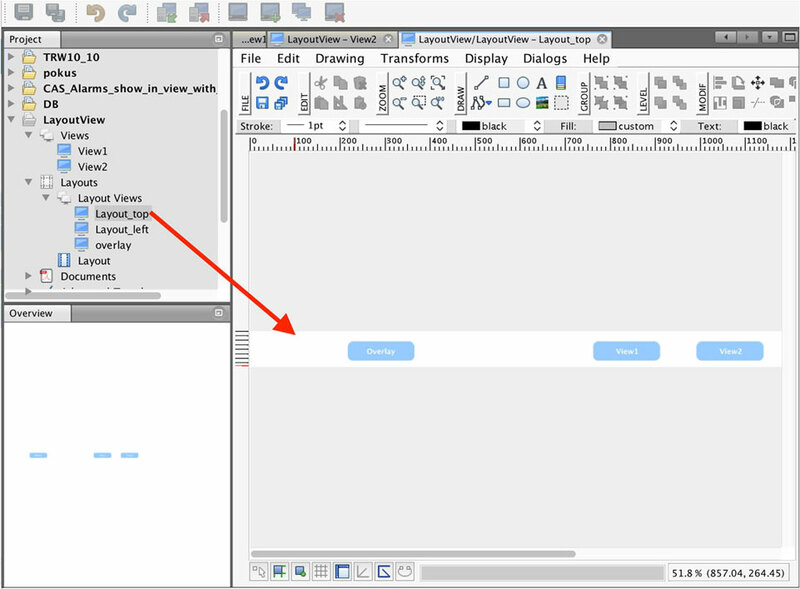 In the following example, we will show you how to add a permanent menu above the views, how to show a message over the views, and how to show a sliding left side menu. 1. 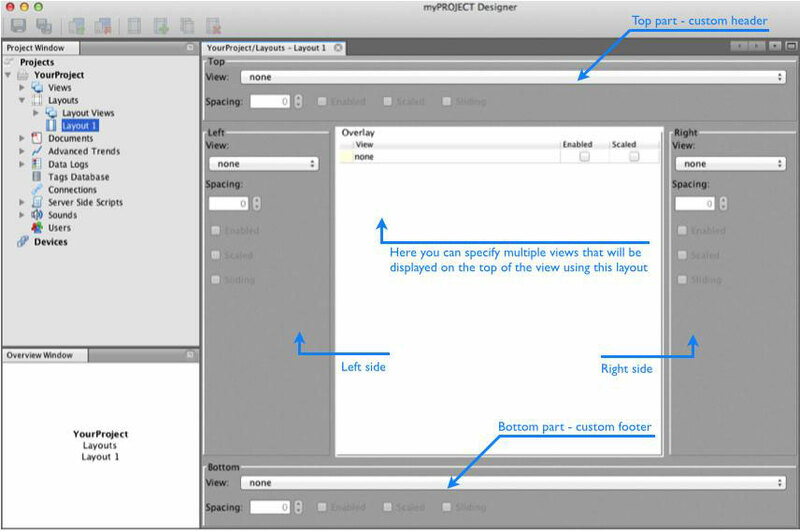 Create View1 and View2 in your project. 3. 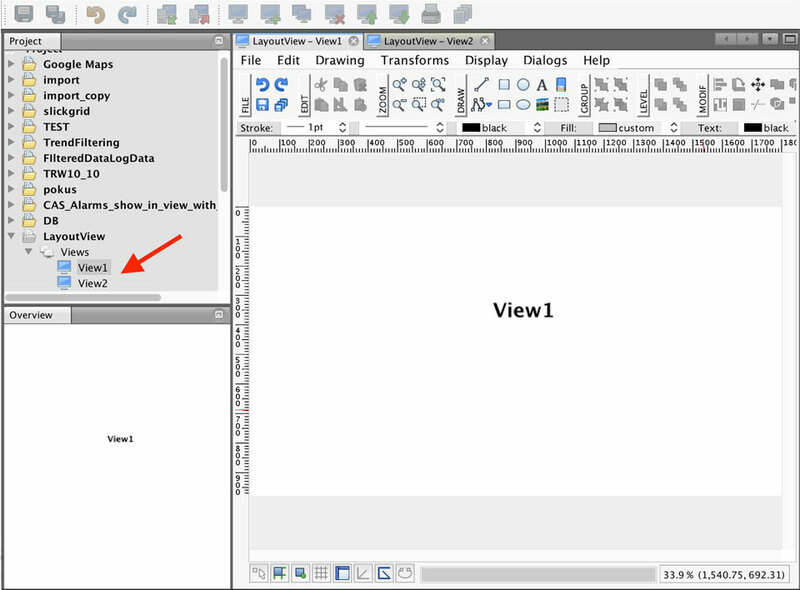 On the button “View1” add the open action to open view1. Do the same for the other button. 4. Now create the left side view in Layout Views. Again, add two buttons to it. Create them the same way as you did in the menu view. 5. 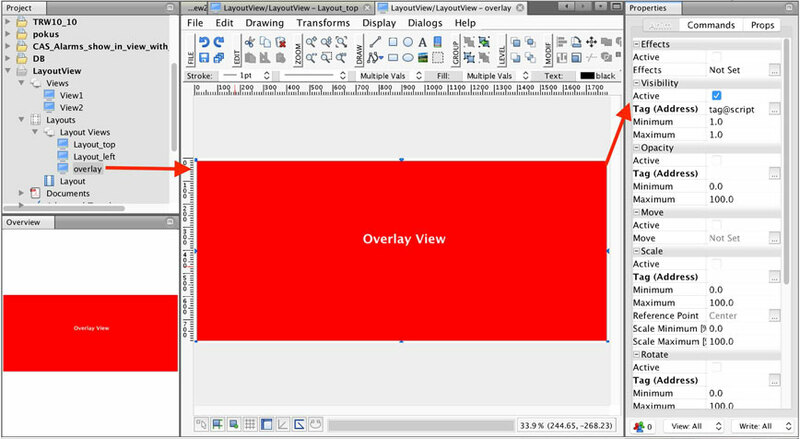 Now create the overlay view in Layout Views. Make it the same resolution as your views. Add a text message to this view. Set the visibility animation for the text message. 6. Now create your layout. For the top section, select the menu view. For the left section, select the left side view and check the sliding check box to add the overlay menu. 6. Now, test your view.